When Rabbi Carey Brown and her family moved to Vancouver in 2011, they made their home in East Vancouver. 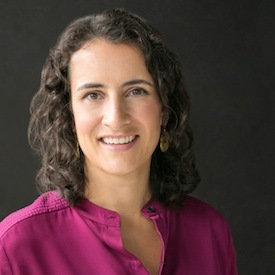 This realization was the inspiration for East Side Jews, a group that Brown founded about a year ago, and which she co-directs with Lisa Pozin. Brown is associate rabbi at Temple Sholom, and Pozin is the synagogue’s program director. Brown grew up in Minneapolis, went to Northwestern University, which is near Chicago, and then studied at Hebrew Union College in Jerusalem and in New York City. After her ordination, she was a rabbi at Temple Isaiah in Lexington, Mass., for six years. That community’s approach to community outreach influenced her and, when she and her husband – Dr. Gregg Gardiner, assistant professor and Diamond Chair in Jewish Law and Ethics at the University of British Columbia – brought their family (they now have two children) to Vancouver, she incorporated it into her own approach. Next on East Side Jews’ calendar is a field trip to Fraser Common Farm/Glorious Organics in Aldergrove on the morning of Sept. 27 with Temple Sholom congregants, religious school kids and others. If you would like to catch the 9:10 a.m. bus from Temple Sholom, register at [email protected] or 604-266-7190. For more information, visit templesholom.ca/sukkot-on-the-farm. For anyone wanting to know more about East Side Jews, visit eastsidejews.ca.